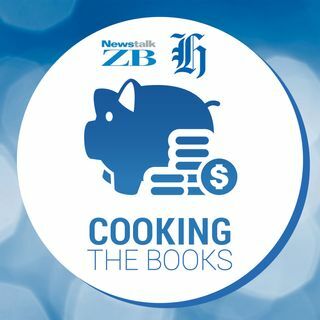 Each week the New Zealand Herald and Newstalk ZB's Cooking The Books podcast tackles a different money problem. Today, it's why you shouldn't overreact to your KiwiSaver taking a dive. Hosted by Frances Cook. It’s satisfying watching your KiwiSaver climb higher every day. You can even get it attached to your bank accounts, so that you can keep an eye on it as part of your daily banking. You watch your nest egg increase in value, secure in the knowledge you’re planning for your ... See More retirement and looking after your future. Except watching it so closely can be a terrible idea. Especially if the recent sharemarket jitters have made you nervous. The sharemarket has hit a rocky patch. In the beginning of February the S&P500 had its worst day since the end of 2016, finishing the week down 3.9 percent. When the U.S. sneezes the rest of us catch a cold, so not only is the U.S. sharemarket continuing to jump around, but so is New Zealand’s. If you think you don’t invest in shares, think again. Most KiwiSaver funds have at least a little bit in shares. If you’re in a growth fund like I am, it might be quite a bit. So if you’re watching your KiwiSaver balance on a day-to-day basis, you’ve probably seen it start to go down. That can be pretty scary I’ll admit, particularly if you’ve been thinking about your KiwiSaver as if it’s a savings account at a bank. But it’s not, it’s an investment fund. If you want the good returns that will make your money grow, you have to grit your teeth during the times it temporarily goes down. I called Dr Ayesha Scott, finance lecturer at AUT, to talk about how to deal with a fall in your KiwiSaver. We talked about why it's normal for KiwiSaver to go down as well as up, how to deal with that, and whether there's ever a time to panic.